If you were like me in your younger days, you spent as much time reading the album cover as listening to the music. It’s how I filled my head to capacity with useless knowledge, to be used only if I were on ‘Jeopardy!’ and the categories were related to album covers and the revolving door of band member rosters. In retrospect, I was honing my eye for composition and design which I used my future career in interior and facilities design, as well as my love of fine art and photography. The common threads in the album covers of my musical choices were Gary Burden and Henry Diltz. Burden was the art director and artist, Diltz was the photographer. 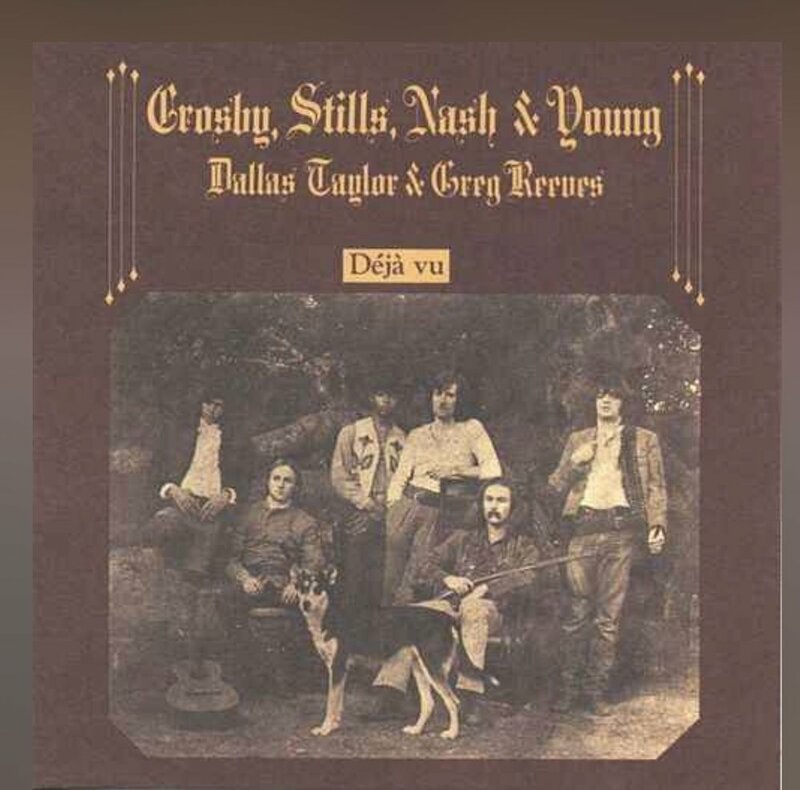 They pioneered the album cover to high art with their use of matte and textured finishes, collage style application, as well as a nod to Mathew Brady’s sepia-toned photography in the civil war. Gary Burden died March 9, 2018. He was 84. His age gives me pause. As do the ages of many of my long-time favorite musical artists. They are as old as many of the retired population in the cities in and around where I now live, present company excluded. Barely. He was closer to my parents age, if they were still living, than mine. The age of the very same individuals I see regularly standing in the middle of the grocery store aisles, oblivious to others, wondering why they came here. I know that behavior will undoubtedly be in my future, but for now I’m the snarky observer. The Traditionalists generation. This population is more conservative, less progressive in their actions and quick to express their outdated opinions. They’re living in the past. Not the population I envision smoking copious amounts of pot, dropping acid or eating peyote buttons out in the desert with the Eagles as Burden did. Seriously though, I have often wondered how so many individuals strayed from their generations group-think stereotype. What is the moment or set of circumstances that causes a change? To embrace the new, the change in the “norm” of society. What is that voice that tells one not to continue in the mold of ones parents or conservative peers? Conversely, what keeps people stuck in convention when new evidence is presented that those conventions are wrong or no longer serve the greater good? Is it fear of the new? Fear of being wrong? Stubbornness? A longing to return to the “good old days”? Or an inability to admit all of that? Time marches on, like it or not. It’s not easy going against the tide of progress. Burden apparently did that in the 60’s while working as an architect on a remodel of Cass Elliot’s house in Laurel Canyon. She suggested he design the album cover for the Mamas and the Papas. He embraced the more relaxed lifestyle of the music industry in Los Angeles and never looked back. He, along with Diltz, went on to design some of the iconic album covers of rock & roll: Joni Mitchell, The Doors, the Eagles, Crosby, Stills & Nash (and sometimes Young) a 40+ year collaboration with Neil Young alone, plus many more.